Growing cannabis indoor does require so many things. After all, all growers will have to pay attention to the temperature, humidity, light, and nutrients. Try to remember that all of these factors are equally important and there are no differences in that! Here we will be interested in light meters. Basically, they measure the light amount in the growing area. 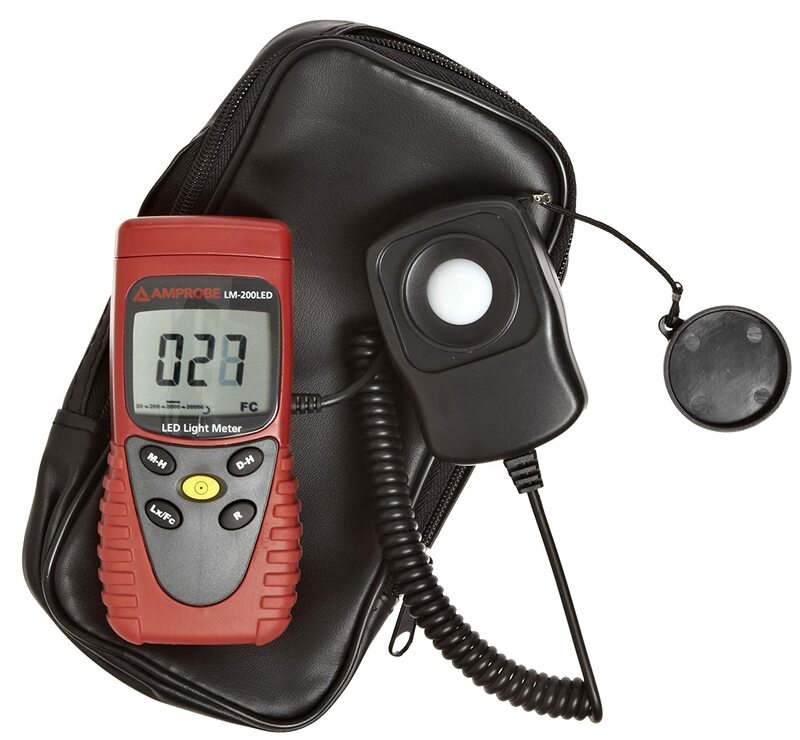 Because lighting is more than just important, we can deduce that light meters are an essential piece of equipment. Sure, you can order the first light meter you see, but how good it actually is? Only luck can help you in this case scenario. A much better, more professional thing to do is to look for factors we will mention below and to determine which light meter is the best for you. This is the first and the essential factor to consider. Not all light meters support all types of lighting sources. 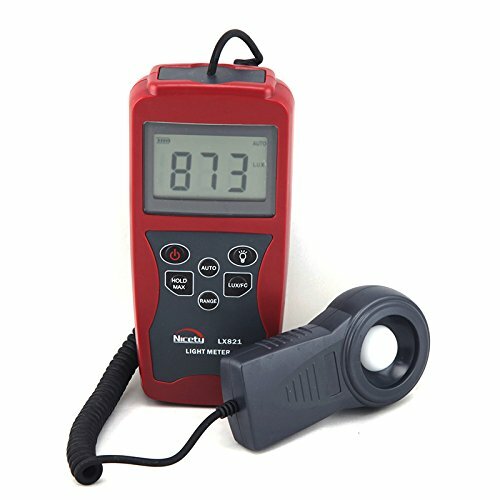 Some can be used to measure only natural light, while others can be used for measuring fluorescent, incandescent and etc. 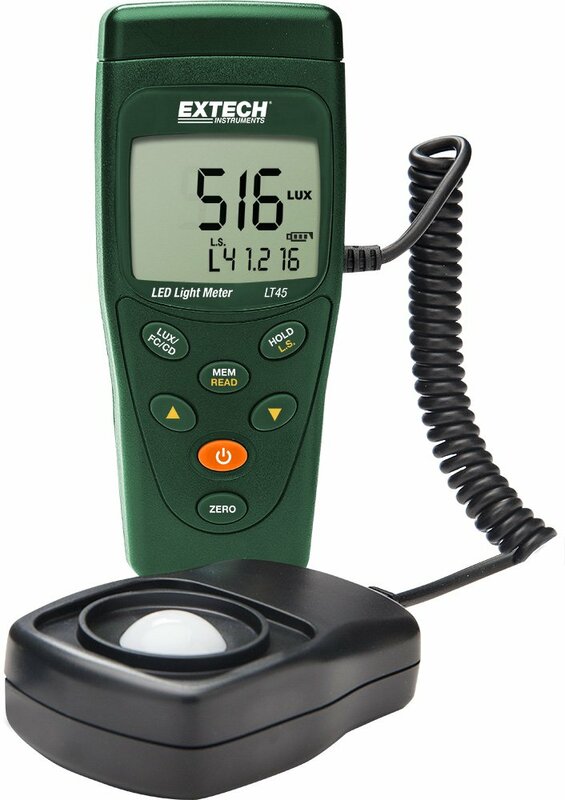 The main thing to know is that you need a light meter which will support the lighting source you have in your growing area. Only then you will be able to use it. Accuracy refers to the accuracy of the provided data by the light meter. Still, there is no 100% accurate light meter, keep that in mind. Values you can get are usually around ± 3% accurate, which is the best value at the moment. Some models offer ± 5% which is a decent score as well. In this case, the lower, the more accurate a light meter will be and therefore more desirable. Lux or lumens per square meter is another factor on our list that must be taken into consideration. Ideally, you will get a unit which can measure up to 400.000 lux. 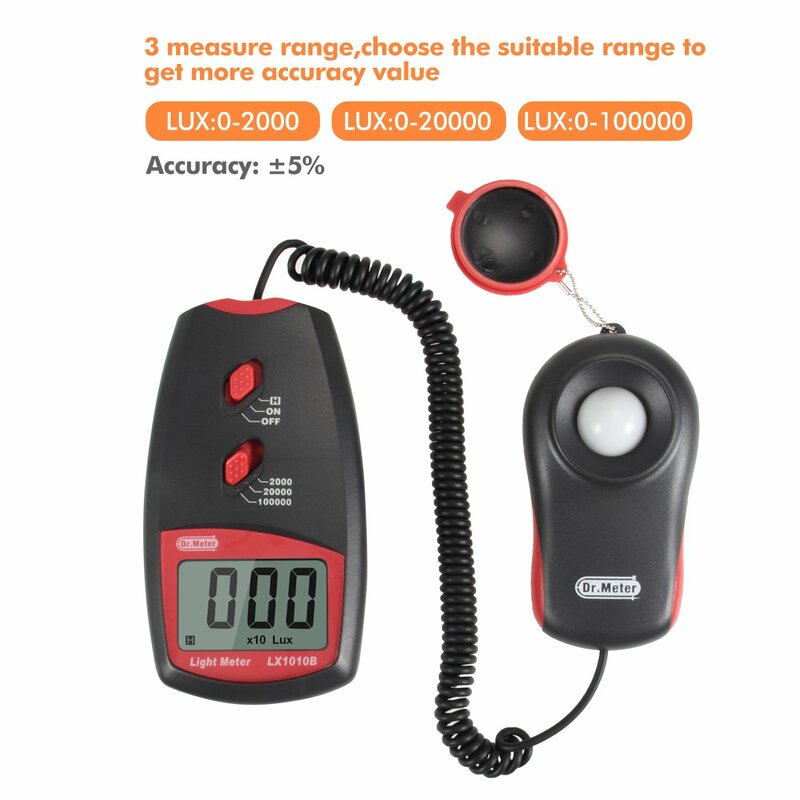 However, most professional growers will tell you that even light meters which a capability of measuring up to 200.000 lux are a great choice. The first type here is usually reserved for absolute professionals, who always want the best results, while the second type is for more generic users. As you may know, this is a simple factor to consider. It represents the memory in which the data can be stored, so you can compare them in the near future. This helps you keeping a much better track of data and analyzing your success rate. All light meters used nowadays are digital, therefore all of them have displays. The main thing to know is that you need a device with a large display, which offers a great visibility at all times and which is easy to read from. Luckily, there are no severe mistakes you can make with this matter. Overall, you need an accurate and sophisticated light meter to use with your cannabis. There are so many models out there, but most of them will meet the mentioned criteria. The model we have here is probably the best light meter ever developed. It is a high-end unit with a lot to offer. As such, it can measure up to 400.000 lux, the accuracy is ± 3% and it can be used for LED and conventional light sources. Furthermore, it has a memory to store up to 99 readings, which is more than most growers need. All of this looks great making the model in question an extraordinary light meter or focused on professionals and demanding users. There are a lot of additional things you would know about it. For example, it comes with a sensor cover, a case, and a useful user manual. There are also two available versions of the unit. One button zero calibration is present as well, therefore using the light meter is easier than ever. Of course, we should add that the display offers a superb visibility and it is one of the most sophisticated we have seen. This is a bit different light meter than any other we have tested and compared. Obviously, as the name suggests it is developed for professional applications. As such, you can expect a high level of accuracy, additional features, and the overall quality. Because the accuracy is the most important factor, we will start with it. In this case, it is within 3%, which is the best possible score. It can also measure up to 200.000 lux, which is a decent score. One of the main reasons why we rated this unit so high on our list is the ability to measure natural and non-natural light sources. In both situations, the unit will be more than just accurate and helpful. Other facts you should know include a great display, comfortable sensor, simplicity and small dimensions. Battery life is one of the longest we have encountered as well, but this unit doesn’t have a battery level indicator, which may be an issue for some of you. The light meter here is another premium model we like so much. First of all, it is capable of measuring 400.000 lux, which is something we prefer. The accuracy is within 3% and the silicon sensor is one of the best in the class. What’s more, this unit comes with a filter, so it can be used at altitudes up to 2000 meters. There is also space for recording 99 data entries at any given moment. Besides the impressive sensor, users will get a 5-meter cord for simple use of the sensor. Data hold function is implemented as well. But, we prefer the sampling time. It is 2.5 times per a second, which is standard for high-end light meters. The battery can withstand for 200 hours. It is a 9V unit inside. Other things you will have to know is that the display is bigger than usual and it is visible at all times. Overall, this model is easy to use and comes with great specifications, so we can recommend it for growers who want the best, but still want to get a decent price. If you are looking for affordable and still useful light meter, you are going to like this model. First and foremost, it offers 100.000 lux detection, it is accurate within 3% and it comes with an 18-mm display. All of this looks impressive, but the price is still far more affordable than any, the equivalent model has at the moment. As such we would like to recommend it to the growers who are on a tight budget but still want to get the most. A silicon photo diode is hard to find in this price range, but this unit already has it. Add the auto-zeroing and low power consumption and we get one of the most appealing light meters of today. The sampling rate is 2-3 times per a second. 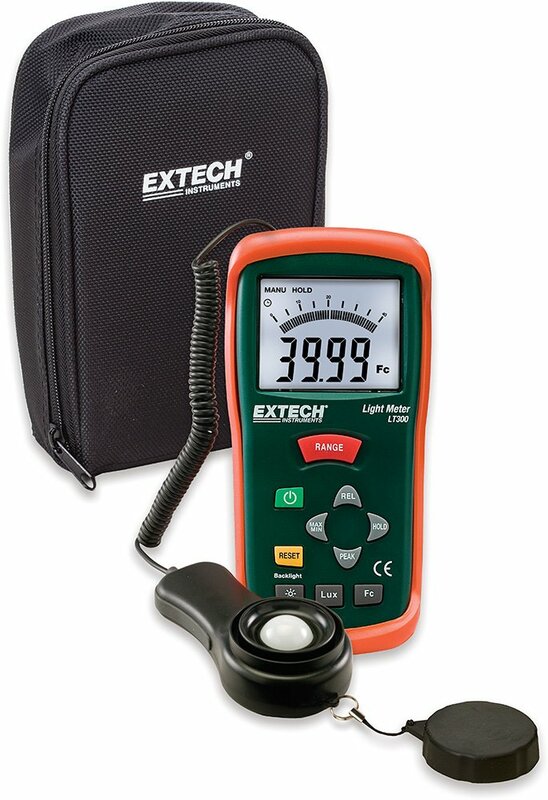 The Extech LT300 Light Meter is a bit difficult to define. This is a great light meter, with all the essentials you are going to need, but there are some differences. For example, the accuracy is within 5%, which isn’t great, but the 400.000 lux capability is. Then we have the sampling rate which is 13 times per a second, or almost 7 times better than any other models here. Color correction filter, easy note taking and data hold function are available features. What’s more, you will get an outstanding LCD display with a backlight which is much better than many other models have to offer. Surprisingly, the unit here is relatively affordable. It is a great choice for growers who need affordable, a high-end unit which has a lot to offer, including overall quality. Here you were able to see the best light meters for your cannabis. Yes, these are simple devices, but the overall effect they have is impressive no less. Keep in mind that a light meter is the essential piece of equipment when growing cannabis indoors. As such, you must have one. Each unit from the list will be more than just a decent purchase.